Whether you’re building a new home or remodeling the exterior of your existing home, you must consider how you want to present your driveway to the world. You don’t want the same basic – boring – concrete driveway everyone else is sporting. While there’s nothing wrong with the same basic drive everyone else has, everyone else has it – and you can do so much more. One thing to remember as you veer the direction of the basic driveway is that it’s often the littlest attention to detail that makes the biggest difference in the value of your home. The first thing people see when they visit your home is your home’s exterior. The driveway is one of the expect when the walk in the front door. You can choose basic and boring, or you can choose to add a gorgeous paver driveway. Our Unilock pavers are more than just aesthetically appealing. They are high-quality, and they are easy to maintain. At A Great Choice, we pride ourselves on being able to turn the most basic driveway into something spectacular. Let us help you transform the exterior of your home from basic to beautiful without much expense, time, or effort. You already know that a paver driveway looks far more appealing than a basic driveway, but we bet you didn’t know there are far more benefits than just what you see on the outside. Pavers are pretty on the inside, too. They’re pliable, they crack less than concrete, and they are great at handling various weather conditions. Unilock pavers are exceptionally strong, and they’re able to withstand the heavy winters and the many forms of clearing heavy snow off drives when the winter weather is extreme. If you live where it’s cold, you can count on your driveway to handle the ice, snow, salt, and other items you use to create a walkable space when snowfall occurs. In the extreme heat, the pavers hold up just as well. They are durable and long-lasting, and those are just a few of the many benefits of a paver driveway. When you get looks and functionality out of a product like this, you end up with a winding situation for your home. You add value and aesthetic appeal without sacrificing any of the important factors. If you’re intrigued and wondering why you should choose pavers over any other material such as concrete or asphalt, you’re not alone. Pavers are pretty, but what is the cost, what is the lifespan, and how do they compare to other materials used to create driveways? These are good questions with even better answers. Pavers are the more expensive way to create a driveway. They do cost more upfront, but they’re not so much more expensive they don’t fit into your budget. Before you decide you can think of better ways to spend your money than on a decorative drive, we encourage our clients to understand pavers might be more expensive upfront, but they’re far less expensive over time. As they age, they require less maintenance than other driveway materials. Concrete might be cheaper, but it’s prone to cracking and fall apart over the years. Gravel drives are the cheapest, but they’re dirty, they’re unattractive, and they require regular maintenance because they fall easily apart when the weather is anything less than perfect. The asphalt driveway is another popular one, but it’s also one that requires regular maintenance over the years. It’s not uncommon for these driveways to dip, to break, and to fall apart as they age. This can be quite costly, whereas the maintenance associated with a paver drive is very minimal over the years. The other significant benefit of a paver driveway is the life-expectancy. These pavers, when installed correctly and by a professional, can last homeowners as many as 40 years. The average is around 30 to 40 years, but a well-maintained paver driveway is going to see an extended life. If that’s not an excellent reason to install pavers, nothing is. To further help you make your decision easier, it’s helpful to know how long asphalt and concrete driveways are likely to last. Asphalt driveways that are regularly maintained can last as many as 20 years. Concrete driveways that are well-maintained can last as many as 30 years. 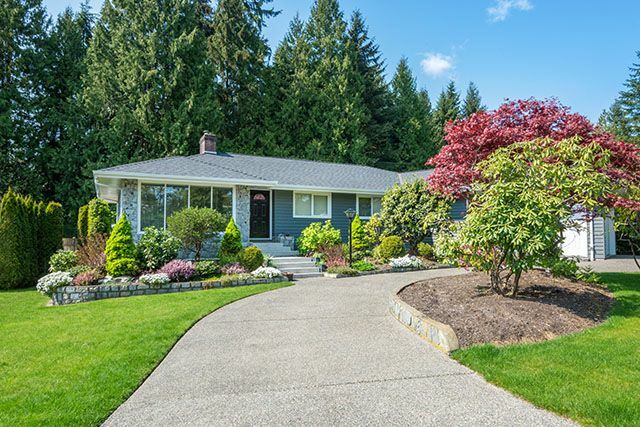 These driveways do require regular maintenance, which means it’s more likely you’ll end up needing to consider replacement a lot sooner than this. When you install a paver driveway at home, your maintenance is very little. The biggest issues you face every year are the minor wedding control and the sealing that comes with having a driveway of this nature. 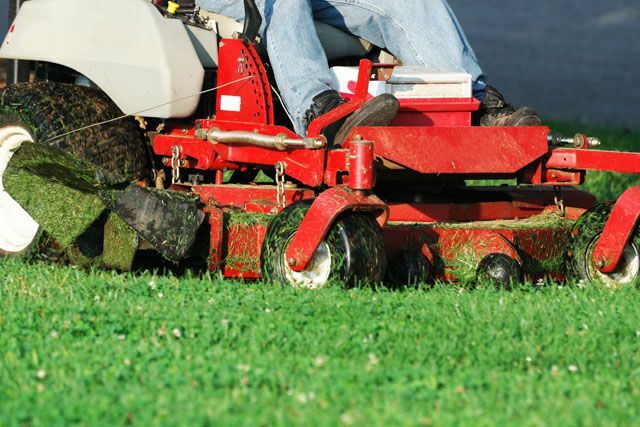 However, these are both handled by your lawn care maintenance company, so you’re not required to do much at all when it comes to maintaining these drives. Unilock pavers are made to last. Curb appeal is so important for homeowners. Imagine selling your home down the road knowing your home might be worth more than your neighbor’s simply because you chose to have a paver driveway installed. Your home might be the same as theirs, but yours appears more elegant and upscale from the exterior thanks to your custom driveway. It’s worth your time and energy to consider how this kind of curb appeal can add value to your home. Even if you never plan to sell, there’s nothing wrong with living in a home that’s worth more than others due to the custom drive you have installed. The biggest concern for homeowners when choosing the type of driveway material they want is the upfront cost. It’s true a paver drive is more expensive in the beginning, but it adds value and pays for itself time and time again. It’s going to cost less to maintain, which means it might end up costing less to install pavers over the life of the driveway than it does to install a less expensive driveway. Keep this in mind when choosing material, and keep in mind professional installation makes Unilock pavers more durable and long-lasting. When you call us at A Great Choice to handle your lawn and driveway needs, you know you’re getting quality service and a team of professionals with decades of combined experience working with Unilock pavers. Our team of experts is ready to assist you when you’re ready to make the change to a paver drive. Let your home shine to the outside work the same way it shines in your eyes. Our team of paver installation professionals is here to help you when you’re in the process of making a decision of this nature. We’re here to help you understand how the process works, what it costs, and how you can make it your own. Call us now for an estimate and to schedule an appointment to go over your ideas and bring your plans to life. At A Great Choice, we put your needs first and work with you to bring your vision to life. The best part is we can bring your visions of a paver driveway to life in as little as 5 to 7 days from start to finish. Call now to find out how we can help you take your home from basic to beautiful.